Sometimes, in order to survive, change is necessary. Change is the thing that allows us to flourish. Occasionally we confuse progress and change and believe that we must wipe away the old to make room for the new. So many errors are made and repeated when we forget that there is great value in the things – and people – that we think have become mundane, worn or their value is no longer apparent. On my various travels, I come across things that remind me of why the objects that we make are more than simply things. Sometimes, they have magic in them – a magic that is often overlooked in modern life because it is subtle. 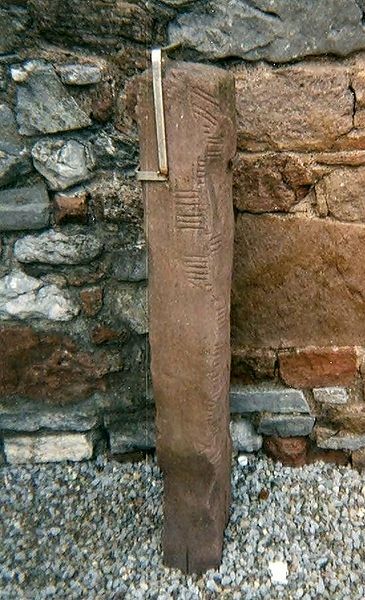 A woman was writing on a forum about a stone in her part of England that had etchings and markings in it that are called Ogham. The mystery surrounding the use of this unusual letter forms similar to Runes is tremendous with most scholarship indicating that it was very practical – used for directions, ownership and grave marking. Over the centuries they took on another life, their translations were copied in medieval manuscripts, and later, with speculation as to their possible connection to Druid magic. 1500 years or more later, are they magic just for existing? 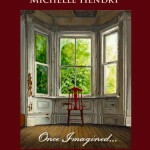 Or is it that when we recognize the importance of the mundane – we see the power of its very manifestation? As this woman said, the man who carved the letters in stone was not required to be present for the meaning of his words to indicate his ownership, his power, the fact that he existed. The magic is not so much for him, it is for us and those that follow us. Perhaps this power – this magic – is in all things we create, including a HOUSE. 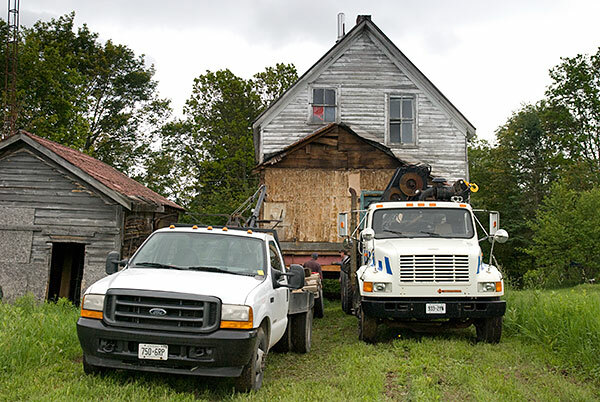 As I mentioned in my post, “New Hope for Uffington, Muskoka“, the old Fleger House is being rescued from oblivion. I had the privilege of witnessing a part of that process last week. 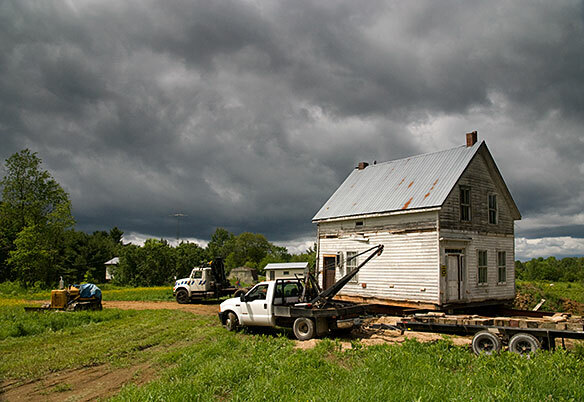 It is amazing to me, in spite of my background, that a house can be lifted up and carried to another location leaving open to the elements, earth that has not seen the light of the sun in 110 years. The great care taken by the gentlemen that lifted and pulled the house to its new location is in no way evident in these photos, but, in the fact that the house did not even suffer a crack. Unlike the the stone marked with Ogham engravings, the house has its story told in many places – in the minds of the elders of Uffington, in the Land Registry Office and in the objects, the wood and nails that remain. In my research, I have heard conflicting reports as to the origin of the Fleger House. Mr. Iddison was quite certain it was not a manse, but, apparently the testimony of Mr. Johnson (whom I look forward to meeting directly) and the records indicate that when it was built in 1900, that was in fact what it was. According to one of the movers, the building sitting right next to the original location of the Fleger House was, in fact, the Methodist church. It is currently in a sad state of repair and I had believed it to be the general store, but, on closer inspection of the building it seems possible that it could have been the church, lending even more credence that the neighbouring Fleger House was the Manse. The property that all of these building sits on was originally owned by George Spence, one of the earliest citizens and owner of one of two general stores in this once bustling gateway town. 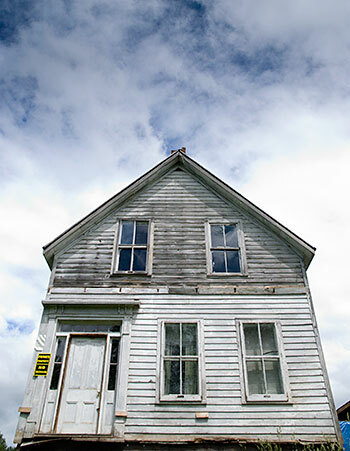 (See Ghost Towns of Muskoka for a full account of Uffington’s history or refer to the post links below) The land was divided and passed through several hands. The Methodist Church was one parcel that seemed to be handed around often and I believe was administered by a Rev. Grover Livingstone at one point – a minister often found at and, I believe, once treated at the Gravenhurst Sanitorium. The Johnson family also owned a corner of this farm in the 1930’s. The house was first purchased by a Fleger in 1944, by Doug’s father Earl. Doug (Tom’s father in law) took ownership, officially, from his father in 1968. I was under the impression from Tom Iddison that the move to the house in 1944 was due to a fire that burned Earl’s other house up the road, down to the ground. Today, the property is being restored by Pete Marchildon and Judy Veitch (yes, those Veitch’s!) 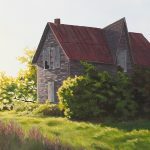 and they have kindly invited me to share the story of this restoration and to further dig into the details of the history of this remarkable little house – a house that in 110 years has seen the rise and fall of a small church, a small town and the continuing saga of rural life in lesser known Muskoka. Let the next chapter begin. 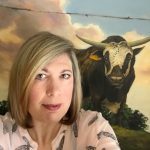 Places of the Spirit – The last Uffington Church? 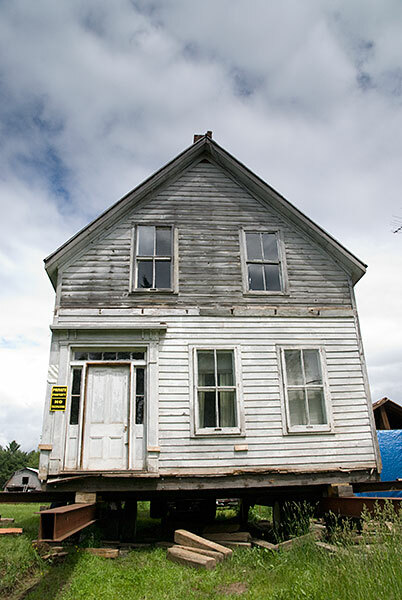 There’s something strange about a house being moved. Normally everything, outside and in, moves around the house. I know what you mean Henry – but I do think this one is happy. It’s staying on the same farm, just a few hundred yards back! 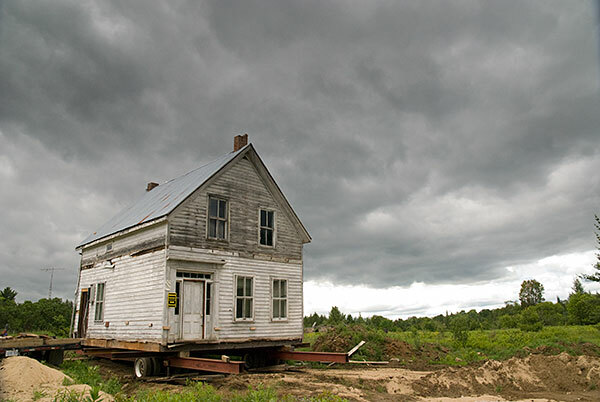 I always found amazing to see people moving an entire house and you photos are realy wonderful. Contrast between dark clouds and “white” house are beautiful. Great to see another post. 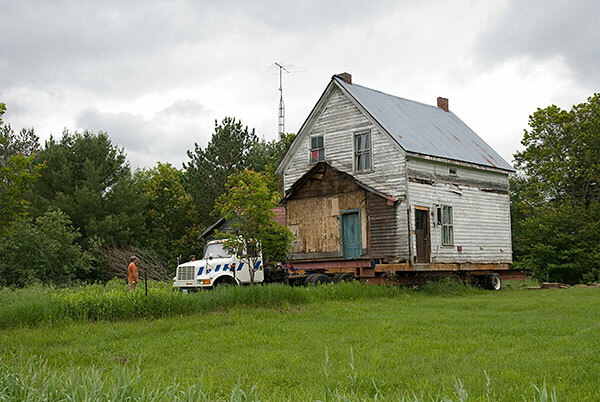 This one’s exciting; to see a house being moved, with great care and success. Dark clouds and great joy together in one space–I love that. Such stark and beautiful photography! Thanks for sharing this! We have just purchased the building next door, and it is in fact a converted church. There are gothic windows hiding under the siding. We are a family of 8, and hope to change the “state of disrepair” with a new foundation and alot of sweat equity…and eventually make it our new home. You are welcome to visit the site to investigate, just let me know.